Have you seen Bookbub’s incredibly useful slide presentation of marketing tips? Here you go. But how should authors ingest this advice? I bet the responses will be like snowflakes, as some slides yank our insecurities while others push our buttons. Here’s my take on the Bookbub tips. I’ll focus on the slides that resonate with me in some way, positive or negative. Tip 1: Survey your audience. Tip 2: Conduct reader surveys. This just shows how Bookbub considers us both authors and small businesses! Love it. Again, leverage your newsletter. And certainly respond to any fan mail with a few questions that will help you understand the reader better. Tip 3: Create a reader persona. Every marketing plan should do this. And every book launch should have a marketing plan. Tip 4: Create a list of target keywords. They make good suggestions here but also try Hashtagify.me and Keyhole. Take these keywords and try them out on your own social media and use them to target your ads. I wrote a number of posts about choosing good keywords for your book. Check it out. Tip 5: Create an author website. Every author needs an online home. And every home should be shiny clean for your visitors. Tip 6: Set up a blog on your site. John Logsdon and I argue about this all the time. Do you really need a blog? I do because I like to speak to my fellow authors. I don’t use it to speak to my readers yet. I have plans on that front! The bottom line is that if you like to share your opinions, then you should blog. If you like to speak to your audience then you should definitely blog. Make sure to open your posts for comments. I’m amazed at how many posts I see that don’t have comments turned on. Tip 7: Link to your published books. Yeah, use your site to link to your books. Definitely. If you write non-fiction you should try to make your book pages informative so that the upsell is accompanied by value that Google will love. High search rankings are bread and butter! Tip 8: Brand your homepage with your newest release. Hm, maybe. Your site is a good billboard, but it’s a better retention device. See tip 9 for my thoughts. Tip 9: Build a mailing list on your site. Yes. Take a look at my homepage. Newsletters are everything when it comes to reaching out to your readers. I would argue that you shouldn’t make it a simple widget. You should make it the driving force of your homepage. Tip 10: Welcome new subscribers with an auto-response. Aweber or Mailchimp will allow you to do this. You can even host the free eBook on their servers. The free eBook incentive is aging but it still has legs! Tip 11: Customize your Bookbub Author Profile. HA! Love it. Yes, you should do this. They have great profile pages. See mine here. Don’t worry, any author can set up their page! You don’t need to have a book offer on Bookbub to make it. Get started here. The page they’ve designed is extremely search engine friendly so expect to see your Bookbub profile to appear at the top of search results for you and your books soon. They also allow readers to follow you. Then, when you release a book they’ll get an email from Bookbub (much like Amazon’s follow feature). Tip 12: Claim your social media profiles. Yes. If you can, you should> except for you Joe Smith. You’re doomed. Tip 13: Link to your website and your Bookbub Author Profile. Hmm. I’m seeing a pattern in their advice here. Sound advice but take it easy on the email signature tip if you have your Amazon profile there already. Tip 14: Create a video blog. Easier said than done, I know, but they’re right. I have a weekly sitdown titled You Should Be Writing with John and we have a blast. You can test stuff out and make it private on YouTube. Get comfy with being in front of the camera and then use videos to talk about things that will interest your audience. Tip 15: Hire a cover designer. Oh, please do. 99Designs is great, as you know if you watch the Self Publishing Podcast. If cash is tight then you can also find pre-made covers at sites like SelfPubBookCovers or Creative Paramita. Tip 16: Test cover variations with your audience. An oldie but a goodie for you newsletter runners out there. I’ve had little success with this myself but others swear by it. I’m still trying to figure out what I’m doing wrong! Tip 17: Unify cover designs in a series. Your inner artist may not like this but it’s good advice. Why? Because it’s what book buyers like and expect. They associate the design with your series and it makes it easier for them to spot when they’re browsing. Tip 18: Relaunch a book with a new cover. This is like printing money. It may not be enough money to make back the cost of redesigning your cover, but it will help sales. Lindsay Buroker just tried this with great success. Tip 19: Add a blurb to your cover. This is a tough one. Of course you want to do this if you have a softcover. But an eBook? It probably won’t be seen by most people because an eBook’s cover isusually a tiny image on the screen. What do you think? Anyone done this? Tip 20: Make book samples end on a cliffhanger. Tip 21: Cross promote books in the back matter. Oldie but a goodie. Always mention your other books in the back and include links. Also include your newsletter sign up link. Tip 22: Include an excerpt in the back matter. This is a great idea on a number of fronts. First, it’s how genre books have been done for decades so readers expect it. Second, it gives your readers more pages to read so they can click on that link in the back matter. Tip 23: Link to your mailing list in your back matter. Oops, I jumped the gun in Tip 21! Tip 24: Optimize your book description. I did a video on crafting a book description. Check it out. Your description is your hello. Make it count. Use words that you dig up in your research from tip #4. Then make sure you use those same word in the metadata. Why do I feel like the next slides will say the exact same thing? Tip 25: Include target keywords on product pages. Yup, me and Bookbud think alike! Make sure you place the keywords that your audience uses in everything. Product pages, book descriptions, bios, ebook metadata, and blog posts. Tip 26: Choose relevant sub-categories on retailer sites. I also wrote a post about this. It’s so important to choose the right genre and sub-genre for your book. And the cool thing is, if it’s not working for you, well, you can change it! Testing keywords and categories is a work-in-progress. it should be part of every author’s routine. Let’s say ‘monthly routine’ though some of us are more obsessed. Tip 27: Link different book formats together. Good advice. This is easy if you’re a Createspace/Amazon author because it’s done automagically. Tip 28: Link series books together by name. Retailers are mini search engines that happen to highlight buyable products instead of recipes and cat pics. Treat the retailer like a search engine and make it super easy for them to track the work you publish. Tip 29: Make books available for pre-order. This is a good idea on a number of fronts. It helps build buzz. It gives you a product page to send people to. And it kicks you in the rear to get the book done on time! Because if you don’t, Amazon will short your sheets. Smashwords is nicer about missed dates. LOVE Bookbub’s advice that you include the pre-sale in the back matter of pervious books in the series. Tip 30: Make books available internationally. YES! We’re a big world. Many people speak your language. Don’t limit your audience. It’s just silly. Plus, having international sales will make Bookbub much more likely to accept your book for promotion. Tip 31: Bundle the fist few books in a series. It’s standard practice now. Readers love them. Bookbub loves to promote them. They ooze “deal” and that’s something everyone loves. Tip 32: Create a box set for stand-alones. This is an interesting one. If you have books from a number of series in a similar genre and you think your audience would enjoy them all then bundle them! It’s a bit of a crap shoot because readers can be finicky about jumping from character to character or world to world, but it’s worth trying. Tip 33: Include exclusive content in your box set. No. Include exclusive content in everything! Yes, really. Tip 34: Publish a multi-author anthology. I do this with the BookElves every holiday and I LOVE IT! It’s a great way to stay in touch with other authors in your genre. It takes a village to sell your books and your fellow authors (and their fan bases) are great villagers. Tip 35: Write a killer elevator pitch. This is also an essential part of any marketing plan. You should do this before you even promote the book. It helps you get your head around what you want to say and who you want to tell. I’d argue this should be done before you even write the book. Tip 36: Poll your audience to test marketing copy. Again, go for your newsletter subscribers first. These are the people most likely to respond with helpful info. It’s a tough balance because you don’t want to come across as salesy but you’d be surprised at how willing your fans are to help any way they can. Tip 37: A/B test marketing copy. This is an offshoot of tip #36. A/B testing is taking two or more versions of the copy and seeing how people respond to each one separately. Which one gets more clicks? Which one converts to a sale? Tip 38: Get blurbs from reputable authors in your genre. Easier said than done! I’m still working on J.K. Rowling ;-) If you can get your book in front of a reputable author then more power to you. The bottom line on this tip is that the same marketing devices that the big pubs use will work for you too. Tip 39: Create images for teasers and quotes. Be careful here. We’ve all seen those awful images across the web that pass for marketing materials. There’s some horrid stuff out there. To avoid that, either hire a pro or use a service like Canva to hold your hand. Tip 40: Make sure your book gets a Bookbub New Release alert. Okay, Bookbub, will do! Remember to make your Bookbub Author Profile first. Tip 41: Ask readers to review your book in the back matter. Word-of-mouth is crucial for any author to succeed. If you enjoyed the book, please leave a review at Amazon. Even if it’s just a sentence or two. It would make all the difference and would be very much appreciated: Leave a review here. Thank you! Tip 42: Provide ARCs to relevant bloggers. Good advice. Goodreads is a good place to find willing readers. Use Google to find the big bloggers in your genre. But something else you can do is use the keywords that you dug up in previous tips and search for blogs associated with those words. My series The Camelot Kids was rich in words like “King Arthur” and “coming of age”. Searching for those terms helped me find people who were into receiving my book. Tip 43: Offer free copies to Amazon top reviewers. Yes, you could do this. I tried it with no success. But I certainly got a lot of attitude! Tip 44: Run book giveaways. The best ones I’ve come across are Goodreads giveaways, which allow you to inform all entrants when the book launches (Goodreads will send the email) and Amazon, which allows you to get Twitter/Amazon Author Profile followers for entering. Tip 45: Add a free eBook sampler to retail sites. This is risky because readers don’t like to be strung along. I wouldn’t do this for my own books. Tip 46: Upload a pdf sample to your website. Hm, two tips in a row that I don’t care for! If you’re going to give something away then make sure you get an email for it. They can always unsubscribe if they don’t like your writing! It’s a fair trade. Tip 47: Create and distribute swag. Yes! It’s so fun to come up with stuff to give away. I gave away prints of the art from The Camelot Kids and was so proud of the work I did with my art team. It was a shot in the arm if not a big contributor to sales. Tip 48: Sell themed merchandise on your website. Tip 49: Submit your book for relevant editorial reviews. Yup. Many pubs are taking indy authors now. Tip 50: Submit your book as an award contender. Check out my post on top contests for your book. All are indy friendly. Tip 51: Temporarily discount a backlist book to drive sales. One of the great joys of modern publishing is the ability to head into the dashboard of KDP or Smashwords, etc and make price changes. You can use Amazon’s timed sales to great effect here. Good tip. Often overlooked as a powerful tool to drive sales. Tip 52: Promote a full-priced book in the discounted book’s back matter. Again, one of those wonders of modern publishing. Tweak the eBook file, upload, publish, voila! You now have more chances to sell your full-priced books. Tip 53: Discount the fist book in your series. I still offer the first book in my series for free, but it’s something you need to work out for yourself based on the type of audience you have. Mine love freebies! Tip 54: Promote your eBook discount on Bookbub. Tip 55: Create a permafree gateway book. This is the first book in my series. As Bookbub says, people like their free stuff. Tip 56: Run price promotions in foreign countries. I believe this is a primary reason for being accepted for a Bookbub promotion. They love international and tout it every chance they get. Tip 57: Run a price promo when you launch a new release. Be careful here. It’s a good idea to get eyeballs, drive sales/rankings and find new fans. BUT make sure your fans get first dibs on the best deal. Please. Tip 58: Email your mailing list when your book launches. I would say that’s stating the obvious, but you never know. We all have our blind spots! Tip 59: Later, email the ones who clicked. Aweber and Mailchimp will both allow you to see who opened your newsletter and who clicked on the links. You can write a general follow-up to everyone who showed interest in the deal and ask for a review. Word it right and you can do it without sounding salesy. Tip 60: Later, email the ones who didn’t click. Riskier but necessary. You’ll likely get some unsubscribes as people find it pushy but that’s okay. You want to find those die-hard fans who will buy your book even if they need a gentle nudge. Tip 61: Promote your book on relevant blogs. That same list of blogs you made before for reviews should be used here. You can also sign up for a blog tour. I had great success with TLC Blog Tours. Tip 62: Sign up as a HARO source. Great for non-fiction. I’ve had zero nibbles since signing up a couple of years ago. Results vary! Tip 63: Partner with other authors to run themed promotions. I haven’t done this but anything that hooks you up with other authors is good. You can grow your reader base together! Tip 64: Create a relevant video series. Similar to their previous tip, but with a more cross-platform vibe. I agree with the premise. I wrote a post about the growing trend of authors being multimedia producers, titled Will writers need to become media producers to survive? I think it’s the future. Find your media niche now so you don’t need to worry about it later! Tip 65: Answer relevant questions on Quora. I’ve seen many authors have great success with this on a couple of my Facebook groups. Seems especially good for non-fiction folk. Tip 66: Run a Google Adwords campaign. Yup. I do this with great success every launch. Use the keywords you found in your research, craft some elegant text ads and set your own budget. It’s easier to do than you think. And Google has excellent support for Adwords. Tip 67: Time your campaigns with current events. You should always have your eye on the calendar for Super Bowls, Valentines Days, and the like. But also be aware that every day is a holiday in the US! There’s National Cream Puff Day, National Umbrella Day and many other embarrassing topics. See the list here. But also watch hashtag trends on Twitter to see if people are talking about your book’s topic. Tip 68: Link to your newest release. Tip 69: Write and syndicate a press release. Yes, it’s 2016 and yes you still need a press release. I got a few reviews from my press release of The Camelot Kids. Some tips can be found here. Tip 70: Reach out to the press. This is old school but I like it. Why not do it? Tip 71: Contribute guest blog posts related to your book. Use the same list you used to send out ARCs and ask them if they’d like a post from you on your favorite topic. The Huffington Post also tends to run posts by indy authors. Tip 72: Participate in relevant interviews. Um, first you have to find them. To do that, listen to your favorite podcasts and pitch yourself as a guest once you find your angle. Also keep an eye out for local gatherings where there may be a panel for you to sit on. I’ve found this much more enjoyable than I ever thought I would! Tip 73: Submit a post to Buzzfeed. Tip 74: Host a release party on Facebook. Great idea if you have a nice-sized following. I’d say host the launch party on the platform where you have the most followers, or where you hope to grow your following. Don’t just do one on Facebook because it’s Facebook. Tip 75: Run targeted social media ads. Definitely try this out. Here’s a post I did on the subject of Facebook ads for writers and authors. Watch my show, You Should Be Writing, where John and I talk about this topic a lot. Probably too much! You’ll be shocked at how targeted you can get your ads. Tip 76: Brand your Facebook cover photo. Tip 77: Make your blog posts easy to share. Put the share buttons on the top and bottom of the post. Also use Click to Tweet so people can easily share the money quote from your post. Tip 78: Make each social media post visual. YES! We’re a visual animal. The days of text-only posts of any kind are gone. When you craft a post, give it a chance to succeed and give it an image. I’ve pounded this into my routine. Tip 79: Post behind the scenes looks on Instagram. I do this on Facebook, Twitter, my blog and newsletter. It’s a good way to give people a sense of how you work. It also helps them remember you between books! Tip 80: Run a participation contest on Facebook. Yes, do this and make a Facebook/Instagram ad to promote it. 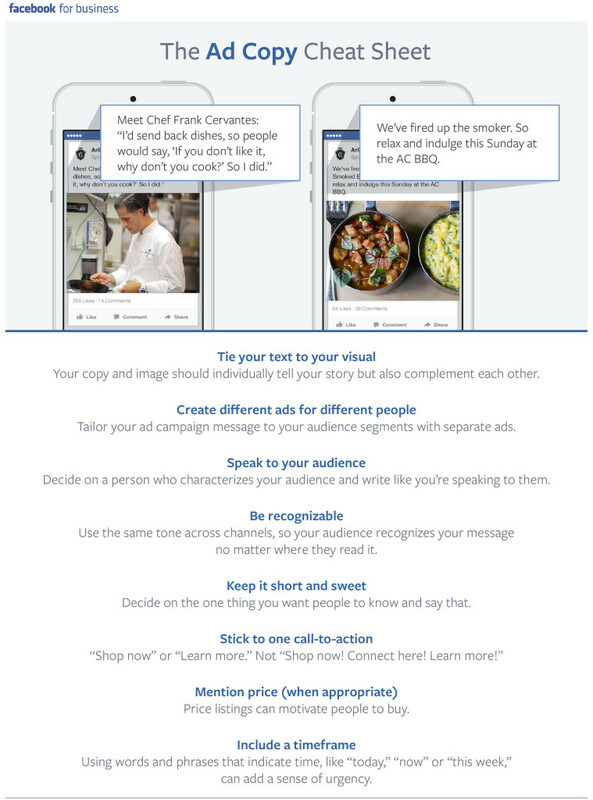 You can advertise on Instagram with the Facebook ad editor. FB owns Instagram. All you have to do is check the Instagram option during the ad creation process. Tip 81: Run a fan art contest. I want to do this one day with Shirley Link! Tip 82: Pin important updates. Good point. If you want your followers on Facebook to know what’s most important to you, pin the post to the top of the page. To do this just look for the small down-arrow on the top-right of your live post. Click on it and then click on “Pin to top”. The post will now sit at the top of the page. Tip 83: Create Pinterest boards of inspiration. I do this for The Camelot Kids and Shirley Link and it’s a lot of fun. Not easy to keep up with when I’m in writing mode, but I do my best. I do notice that it drives a lot of traffic to my blog. I’m not sure if it drives sales. Tip 84: Host a Q&A session on Twitter. Great idea if you love Twitter and know how to use it. Bad idea if Twitter is an enigma. Tip 85: Launch a Facebook Group with other authors. No thanks. I have enough to juggle as it is. What do you think of this idea? Tip 86: Ask questions and encourage participation. On Facebook, Twitter, newsletters — this is always a good idea. Tip 87: Pre-schedule social media content. I only have a limited amount of time to promote. To make the most of it I do what they suggest here. Sunday night or Monday morning before work I spend an hour posting (with images!) to FB and (mostly) Twitter. It lets me relax for the rest of the week. Use Hootsuite. It allows you to queue up your posts for most social media sites. And it’s free. Tip 88: Hold book signings at bookstores and conferences. Yes, do signings. Don’t do readings unless you have a flair for the dramatic. I have an author friend who is also an actress and she eats this stuff up (including playing to an empty room when necessary!) Not for me. But nothing beats the personal touch. If you show up you will be noticed and you will make sales and maybe find new lifelong fans. Tip 89: Give a talk at a relevant conference. As I said before, I’ve had more fun doing this than I thought I would. Try it out! People really re on your side when you get up in front of them and speak. Tip 90: Participate on panels you’re invited to. Tip 91: Print business cards to hand out at events. Most of us do this, which is great. Most of us also don’t bring enough cards to the event, which is stupid. Tip 92: Run a contest when you attend live events. Good idea. I’ve never done this. If I ever do I’ll be sure to bring someone along to help me manage the contest. I’ll be too busy stressing out to worry about running it right! Tip 93: Partner with relevant local organizations. My best allies are in the libraries and schools! I’ve started to break into the local bookstore scene and have high hopes. Tip 94: Coordinate your marketing efforts in a single week. Wow, I love this. It plays right into my need for structure and deadline with a carrot at the end of the stick. I mean, I TRY to do this when I launch but I also fail to do it when I launch. Next time! Tip 95: Pitch your book as a holiday gift. I do this with some success. 2014 holiday was awful. 2015 was amazing. The only thing I did differently is make part one of The Camelot Kids free. But that may have been the biggest contributor to increased sales for Nov/Dec. I’d also add to this tip that you should make a holiday bundle of your work if that makes sense. Give the cover a holiday look-feel and add a short story that gets people in the spirit! Tip 96: Donate books to people who can spread the word. Good point. I never leave the house without copies of my book. I have some in the trunk of my car just in case! Tip 97: Measure the ROI of your campaigns. I have a blog post in the works on how to do this. It’s not easy but it’s not hard. It just requires attention to detail and some best guesses. I’ll be leaning heavily on John Logsdon to help me craft that post. He’s amazing at this stuff. Tip 98: Continue publishing new books. I’m going to throw in #99 and #100! Tip 99: Sign up for your library’s and local bookstores’ newsletters. These things are PACKED with news about what’s going on, who’s reading what, etc. You’ll find great opportunities to slip into an event or make one of your own if you go into the store or library ready to talk about their newsletter. For those moments when you can sell a book on the spot, Square lets you take credit cards! You get the little swiper/chip device for free and they take a small percentage per sale. I bring mine with me everywhere. If you’re a writer and you’ve wanted to try Facebook advertising for your books, then check out this great graphic… straight from the horse’s mouth! It’s such a concise breakdown, it makes me wonder why they can’t be this succinct with the Facebook interface. Haha. I’m laughing at my joke, which makes one of us. Tie your text to your visual – I love this advice and I’d imagine you do too. Us writers love to be told to tie stuff together! The point here is that the image and the text should not be isolated. Tell a story. Flex those storyteller muscles. Create different ads for different people – It’s a lot of work but it’s necessary. Identify your audience and then break it down further to find strata of that audience. For example, Facebook will allow you to identify people who love your genre. But you can also break them down into people who love your genre who are also parents of kids with ebook readers. Speak to your audience – For every large swath of audience type, craft your ad for them specifically. So for the general Fantasy fan, include an image of your cover. For the Fantasy fan who loves to use her Kindle, show the cover displayed on a Kindle Fire. When you identify the audiences, don’t just write the same copy for all of them. Use words that will stand out for them. For the Fantasy loving Kindle owner, mention Fantasy, Kindles and even if the book is free for Kindle Unlimited customers. Does that make sense? If not, let me know in the comments! Keep it short and sweet – Want them to buy? Why should they? Want them to sign up for newsletter? Why should they? Stick to one call-to-action – At the end of your ad building you’ll be asked to choose one call-to-action. This will give you a button inside the post that reads “Buy” or “Download” or “Sign Up”. Everything you write and every image you post should drive people to the action you want them to take. Include timeframe – My favorite is “For a limited time”. I have only one thing to add and it will save you a lot of money. Do not rush the copy for your ad. It’s SO easy to be in the middle of crafting an ad on Facebook when, all of a sudden, a wave of excitement crashes over you. In a way, it’s similar to posting a regular post on Facebook! You can’t wait to see how people respond, right? Big mistake. Preferably, you should write the ad and choose the image even before you start crafting the ad on Facebook. Do you use Facebook to advertise? How’s it going? If not, why not? Let us know in the comments! Join John Logsdon and me every week for the author podcast, You Should Be Writing! Sci-Fi and Fantasy Humor author John Logsdon and I are having a blast with our new author podcast! It’s called You Should Be Writing! (With the exclamation point! Just because!) We’re up to episode 14 and each one has been more fun to do than the last. Does that mean that each one is better than the last? Absolutely not even a little bit, no. After having such a good time on the Science Fiction & Fantasy Marketing podcast, (with Lindsay Buroker, Joseph Lallo and Jeffrey M Poole) JL and I decided to try out this podcasting stuff on our own. Are we good at it? Not yet! But we have some good info on everything self-publishing. We discuss the indy book publishing world and all of its peaks, valleys, oceans and trolls under bridges. Reviews, newsletter sign ups, the newest gurus, the latest tools… we have it all. We do the podcast every Friday (though we’ve missed a few over the hectic summer). If you want to keep up to date and maybe even show up for the taping, just Like our YouTube page. Thanks. We hope you enjoy You Should Be Writing! Now go on and get some writing done, will you? I typed in the name of a friend of mine to see what he’d been posting recently. I usually see much more chatter from him and I was worried about his Facebook silence. He’s also a fan of my work and we share a love of Fantasy books that will keep us close, even in the afterlife (where I’m sure our perspectives on Fantasy will likely change). Well, I found that he’d been posting as often as ever but Facebook decided to show me less of his life. Thanks Zuckerberg! But I noticed something cool in my friend’s Interests column. He’d recently liked Snow Crash (he’s slow sometimes) and it got me thinking. 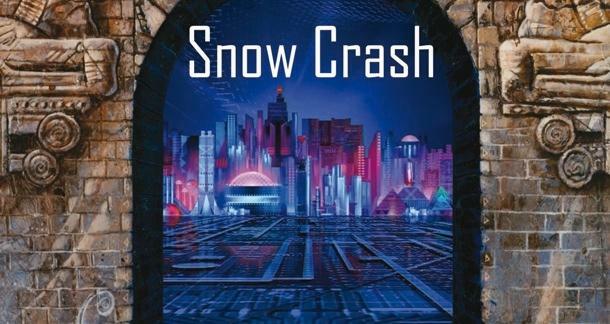 Can I search for all of my friends who like Snow Crash? I typed “Friends who like Snow Crash” in the field and, boom, got a list of friends who like Snow Crash. Okay, maybe that makes sense to you. Facebook is, after all, a social network! But then I typed “Friends of my friends who like Snow Crash” and you know what? I got a list of people, most of whom I don’t know, who like Snow Crash. Well, imagine that you’re targeting lovers of Snow Crash in your marketing efforts. Now imagine you could compile a list of people who may be interested in your book and they’re a free nudge away from giving your book a shot. All you have to do is let your direct friend know that you think their friend may be interested in your work and ask them to call out their buddy in a FB post. 1) Determine what books your book is similar to. 2) Search for friends of friends (FoF) who like each of these books. 3) Make a list of FoFs, who your mutual friend is, and which book the FoF likes. Yes, you could spend a few bucks to reach the same person but they’re more likely to respond to a recommendation by a friend instead of a sponsored post in their feed. Mind you, I haven’t tried this myself but it seems like a no-brainer way to get the word out about your book. I’ve always had a love/hate relationship with Twitter. One day I think I understand it and the next day it’s filled with some faux outrage (faux-rage?) thingy that makes me want to turn the world off. But my love affair started up again once I realized that Shirley Link’s success as a perma-free book is primarily due to the cacophonous bird. But now I want to take it a step further. I want to pay to get access to their huge audience. I want this for two reasons. First, I want to sell my $1 eBooks. Second, I want to grow my mailing list. So I attended a great Q&A with some Twitter employees who were eager to educate me about spending my hard-earned money on their promo tools. They clarified a bunch of nifty-sounding services that you may have heard about but had zero idea how to leverage. That’s right. They gave tips on how to promote a tweet and they even explained Twitter Cards. It turns out if you use Twitter Cards and promoted tweets together you could drive some incredible (valuable) traffic. Here’s what they taught me. First sign into ads.twitter.com. I’ve found this site to be the easiest way to tweet. I like the way it lets me schedule posting times AND it how it allows me to attach images with 100% guarantee that the image will show up in the actual tweet. That’s not the case on Hootsuite where I’ve found that the image often gets cut out of the tweet. Plus, it’s the only site where you can create a Twitter Card. Why would you want to do that? read on! I think Twitter messed up in calling these things Twitter Cards. It’s a bad name for a cool idea. When I picture a card in my mind’s eye I picture, well, a card. Like a business card. Or a playing card. A Twitter Card is more like a visible attachment that hangs from the bottom of your tweet. What else could they have called it? A Twitter Tail? A Tweet Board? Yes, those are awful ideas but you get the point. This is an example of a tweet with a Twitter Card attached to it. The actual Twitter Card is the lower half of the tweet, including the image, the Shop Now button and the text “Armor up with The Camelot Kids! Only $1 for a limited time.” You can make that button read anything from “Shop Now” to “Download” to “Sign Up”. The larger image spot is a great way to stand out on a busy feed. You see the text “Want a good fantasy read? One reviewer says TCK “will take you back to the day when you first read Harry Potter…”? That’s the tweet I wrote. After I wrote it I attached the Twitter Card by pasting its url in the tweet. it’s pretty simple to set up. But once you get a few cool Twitter Cards set up, what do you do with them? Simply put, you target your audience, set your budget, assign some tweets to the campaign (with Cards attached) and press the Fine, Take My Money button. Experiment with targeting usernames. It allows you to get into the feed of followers of specific people. Experiment with targeting keywords. The important thing to understand here is that keyword targeting scans for tweets in real-time on the service. They do not target overarching interests, old tweets, or bios. I didn’t know this before. Socialbro will take your money to target that kind of metadata. Experiment with images. You may have great copy but the image might need a refresh. Play around with the most eye-catching imagery you have. Check your dashboard often to spot places to tweak. Twitter reporting (which also resides on ads.twitter.com) is robust and relatively clear. Set up conversion tracking to measure your campaign’s effectiveness. Just follow the steps Twitter lays out. Separate your campaigns by objectives and targeting. Don’t make a campaign that’s meant to get sales AND sign-ups. Each goal needs its own campaign. For username targeting go for 30 names per campaign. For interest targeting select the most specific categories possible. Do not exceed 2 interests per campaign. Avoid using hashtags, @’s or urls in your Twitter Cards and promoted tweets. Do 3-6 tweets per campaign to give the Twitter elves something to work with. Twitter loves fresh content so swap in new stuff often. “Often” being a relative term that should be dictated by data in the reports. Use the Lead Gen campaign for email sign-up campaigns. Expect a 1-4% engagement average. Do NOT pause and stop campaigns. This damages the performance. Plan and budget ahead. You can start small and ramp up the budget and number of tweets as you build confidence. I hope you found this post on how to promote a tweet useful. Let us know how your campaigns go in the comments. Good luck! From Joanna Penn‘s excellent selection of business tips to The Self Publishing Podcast‘s eerily helpful smack talk, there’s something here for you to enjoy. The Self-Publishing Podcast is one my my favorites, with Sean Platt (@SeanPlatt), David Wright (@thedavidwwright) and Johnny B. Truant (@JohnnyBTruant) lobbing inside jokes peppered with fantastic ideas. The charm of the hosts is a big part of the draw but their success can’t be ignored. My money is on these three authors hitting it BIG and it’s fun to watch their careers grow. What’s the benefit for us? We can draw parallels with their hard work, disappointments, victories and struggles. It’s like an epic serialized story with three guys sitting on their asses. Best enjoyed with: A red chili lunch with espresso chaser. Joanna Penn (@thecreativepenn) is a staple of the indy community. She’s been sharing her experiences as an author and entrepreneur for a few years, so her perspective has weight. She’s recently started to focus on the craft of writing as well. I like Joanna for her optimism and her focus on the future. Anyone who can make me feel good about this tough business has earned my attention! The Reading and Writing Podcast is a great way to hear from your favorite authors about their latest books and the writing life. From Dean Koontz to Lee Childs to Walter Mosley, this podcast snags some of the best writers in the business. Straight-forward, insightful questions from the host Jeff Rutherford (@JeffRutherford ) make the podcast a must-listen for those moments when you just need inspiration and guidance. At 181 episodes (and counting) this is the legacy podcast that should be on everyone’s subscription list. Favorite episode: Walter Mosley. So talented. So classy. 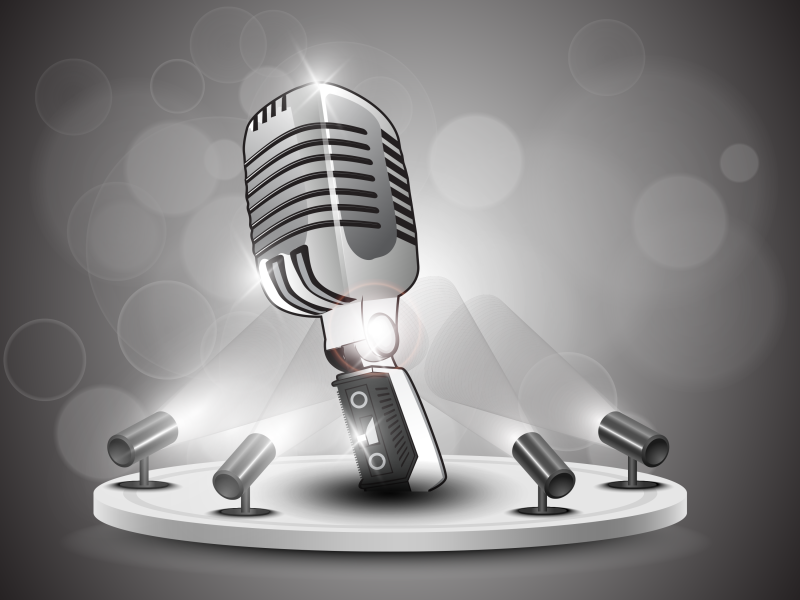 The Author Hangout (@bkmkting) is a new entry in my must-listen list. They’re off to a good start with helpful interviews of authors and marketing folk. Their series on blog tours is the best I’ve ever seen. The podcast is part of the Book Marketing Tools site which sells author services (see my review of their promo tool). However, they do a good job of keeping their business out of their advice. Best enjoyed with: Pad of paper and pencil for the deluge of tips. The Self-Publishing Roundtable is a storied podcast with high turnover. People come, people go, but it always remains informative. They cover everything from marketing tactics to creative tips. The conversations are intelligent, focused and current. For example, one of the newest episodes cover Mastermind Groups. Yes, Masterminds are packed with buzzy-sugarness but they are a useful way to get inspired fast. Best enjoyed with any slow food. Good for the digestion! 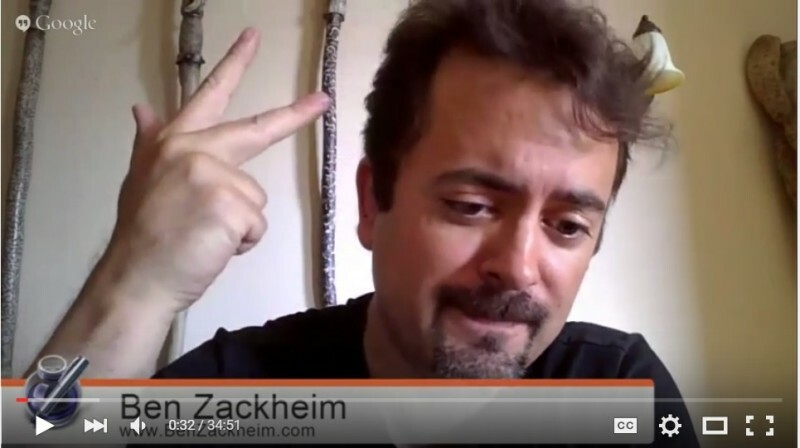 Jim Kukral (@JimKukral) and Bryan Cohen (@bryancohenbooks) host this helpful, slick show. There’s the occasional plug of author services (Jim Kukral started Author Marketing Club) but they’re smart about it. Their Three Tips segment launches the discussion and they tend to be dead-on with their advice. Jim and Bryan also cover current news (which can lead to amusing discussion-rants). Best enjoyed with: Whatever you eat while you’re watching the evening news. The Science Fiction & Fantasy Marketing Podcast covers, um, Science Fiction and Fantasy marketing. Lindsay Buroker (@GoblinWriter) of The Emperor’s Edge fame joins Joseph Lallo (@jrlallo, The Book of Deacon) and Jeffrey M. Poole (Tales of Lentari) to discuss tactics and strategies for one of the most popular genres. The podcast is relatively new but the years of experience shine through. From showing up at shows with 3D printed swag to maximizing free promotional days, this one covers the tried-and-true and the cutting-edge. Best enjoyed with: Mead. Ferengi crab. If soothing British accents are your thing, then you need to tune in to Rocking Self-Publishing to find a mantra. If you like soothing British accents that are saying something useful then browse the Rocking Self-Publishing library. Packed with wisdom, inspiration and common sense it’s a welcome break from the grind. Simon Whistler (@RSPPodcast) is enthusiastic and hungry to extract useful information for himself and his listeners. Best enjoyed with: Tea (spiked with tequila). Bacon. This new podcast also enjoys the presence of Lindsay Buroker (she’s everywhere!) The show is low-key and informative, with co-host Adam Poe (@xAdamPoe) touching on topics that we have questions about. Pay special attention to episode 7 where he goes over how to get your books on Google Play. He’s found some success there and recommends authors get their books up for sale ASAP. I also enjoy The Writing Podcast‘s wise choice to interview traditionally published authors. We all have something to contribute to this writing life.